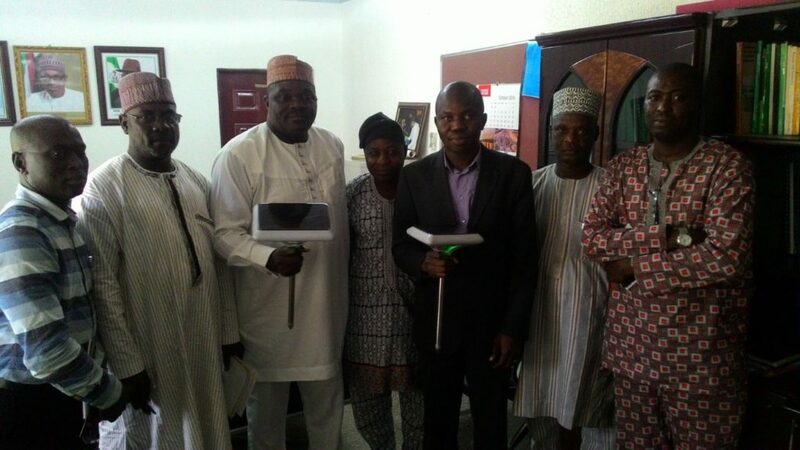 Everyone understands the challenges in the telecom sector in Nigeria. There is the problem of extra tax burdens on one side and the erosion of revenue, accelerated by OTT services like Whatsapp which consume infrastructure capacities without the telecom companies earning decent revenue therein, on the other side. Yet, these companies have opportunities to unlock more value if they can partner with Zenvus to help them deepen the use of telecom infrastructure in Nigerian agriculture. Zenvus is an intelligent solution for farms that uses proprietary electronics sensors to collect soil data like moisture, nutrients, pH etc. It then sends the collected data to a cloud server via GSM, satellite or Wifi. Algorithms in the server analyze the data and advice farmers on the best farming techniques. As the crops grow, the system deploys special cameras to build vegetative health to help detection of drought stress, pests and diseases. Zenvus provides clear visibility for precision agriculture by looking at data in the soil and the crop vegetation. The data generated is aggregated, anonymized and made available via subscription for agro-lending, agro-insurance, commodity trading to banks, insurers and investors. With this AgTech IoT (Internet of Things) innovation, companies like MTN, Airtel, Etisalat and Glo can pipe a lot of agriculture data to farmers, banks, insurers and others across the food chain. The telecoms will aim to improve the connectivity of sensors and other data-capturing devices on the farm to help farmers turn this data into actionable insights through Zenvus software platform. The opportunity is huge as this is an untapped market and these companies can even come together to seed the connectivity part of the business. We mean these companies can come together under an initiative to connect Nigerian farms. It would be a necessary investment for them to expand beyond where they are today. Consider MTN AgTech (or Glo AgTech) which will run through Zenvus platform with tools to help local developers and others build for, and use, IoT in the agriculture space. Zenvus has an API that will support such an initiative. People are talking of smartcity in Nigeria. We think that is largely elitist because we have more urgent things to deal with before whether the city is smart. The real deal right now is agriculture and the demand projection is huge because farming productivity is very poor and any improvement in yield will improve the living conditions of more than 60% of the Nigerian citizens. (It is estimated that more 60% of Nigerians work in the agriculture sector across the different layers of the value chains.) Did we note that the telcos will make more money in the process. As Nigerians do well, the bulk being farmers, telcos will have better Christmas parties! The telecom companies will help Zenvus handle connectivity issues with a national standard, if necessary, set in the nation for the agriculture space. This is good business; NCC, the regulator should not be anywhere close. We just suggest the telcos work together and build a new business segment. Bringing a network and a platform together will quickly help drive this innovation process. In addition to providing farmers with the ability to track everything that’s happening in their fields such as a water pipe leak, irrigation, efficient fertilizer application, the telecom firms working with Zenvus will aim to provide farmers with prescriptive recommendations based on the combination of historical, geospatial and on-farm data via Zenvus dashboard. This is not just for farmers, even local gardeners will be on board and the telcos will benefit. The telcos in this partnership will focus on their strengths in wireless connectivity and tackle some of the technical challenges of connecting devices and getting data out of the field and into the cloud. We envisage that they could decide to build a completely open IoT platform that an existing and future ecosystem of companies could build farmer-focused solutions on which could tether those customers in their networks because their farm data are already resident with these telcos. Zenvus believes that participation and interests from the telcos will help accelerate innovation in this area. We do hope the telcos will not suddenly try to focus on selling their own software products to farmers. If they choose that path, they will likely fail because working with farmers is not an expertise the telcos have in their DNAs. They just need to provide the networks so that AgTech entrepreneurs will do the rest. The cost model will not work in their favors because the farming entities in Nigeria are very fragmented and what we have seen on the fields, you need to operate with new cost models to succeed. 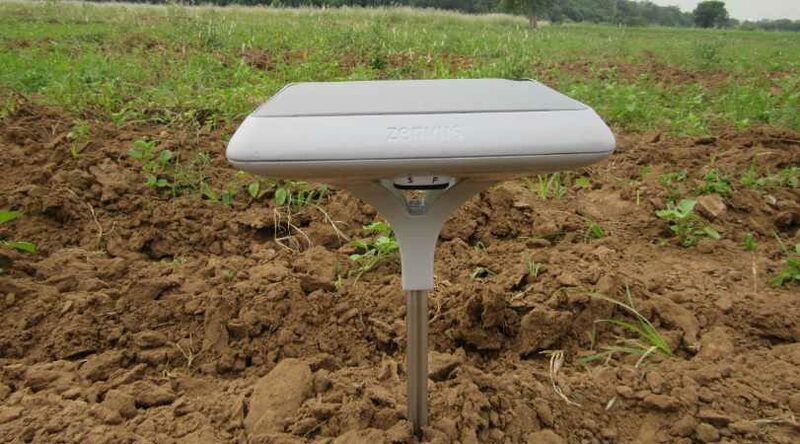 The biggest opportunity for telcos will be Zenvus Fusion where Zenvus is planning to document the soil fertility data of any farmland in Nigeria by taking 1000 samples per ward in each of the local government areas in Nigeria. Our technology makes that possible but the data requirement is relatively unprecedented and enormous. These soil data will be used to support building best growth Zenvus model for 5 crops for each local government area in Nigeria. This means we want farmers to focus on crops where they will earn more over just following cultural traditions handed by ancestors. To make the call, we need data. That process has started with Zenvus Boundary which helps a farmer map the boundaries of his/her farm by himself/herself and just like that print the boundary from our portal. You walk around your farm when you have Zenvus on boundary scan mode and you have a document which can be ratified by government to serve as a bank collateral. That documents is your farmland title. This will formalize informal assets and help rural farmers have records of asset ownership. Our engine allows farmers to put their National Identify Number and other pertinent data. The data also have a plain view survey which does not have the Google Map superimposed. The essence of showing part of the map with Google Map is to give relational associations with that farm in ways that rural farmers can relate: you know that farm is near that iroko tree and close to the lake. You see all via Google. The future opportunities in telecoms will come when telcos begin to move into legacy sectors like health, agriculture and begin to connect them. They have to do this connection with a business model that makes sense. Zenvus offers many elements because Zenvus has suite or services running on the IoT meaning that telcos are sure of more data usage by farmers. zPrices – zPrices empowers rural Zenvus farmers with real-time produce prices across major cities. It provides farmers with data to effectively negotiate prices with merchants who normally pay them little. zCapital – zCapital helps Zenvus farmers raise capital (loan or equity) by providing independent farm data from our sensors to help banks and investors evaluate overall profitability of farms. zCrowdfund – zCrowdfund helps Zenvus farmers crowdfund capital from local donors who they can deliver produce after harvest. Our sensors validate these farms providing partners with confidence. zInsure – zInsure helps Zenvus farmers insure their farms by providing independent farm data from our sensors to insurers. This helps them evaluate the risks based on actual farm data. zMarkets – zMarket provides a platform for Zenvus farmers to sell their produce. It is an avenue to expand their markets by removing geographic limitations. Farmers list their harvest days and buyers connect. These services will be activated once Zenvus builds a fairly critical mass in its ecosystem. It will bring banks, farmers and other stakeholders together thereby driving data consumption. For example, a bank that is funding 100 farmers can ask MTN to connect all the farms to its Zenvus account so that it can track what is happening in them as needed. The telcos need to have a revenue stream from the agriculture space. Zenvus has many services like Zenvus Insights, Zenvus Insights Pro, Zenvus Boundary, Zenvus Financials and Zenvus Fusion. Our firm through our Founder has been working with farmers. He just pitched some groups in Zambia. The roadmap is that Zenvus ecosystem will have at least one million farmers by December 2017. The Promise of Zenvus is to radically transform the agriculture sector in Africa. We have taken that message to governments and the results have been positive. As we continue to work with partners, we think the telcos must adopt a strategy to focus and build the agriculture sector connectivity business. We are local and international. We want to do business. Email us at zenvus@fasmicro.com and let us begin the conservation.